Found in everything from space shuttles to dental fillings, composite materials have thoroughly infiltrated modern society. But their potential is still greatly untapped, offering researchers ample opportunity for discovery. Within the particle showers created at the Large Hadron Collider, answers to some of the universe’s mysteries are waiting. Model systems like pigeons can help illuminate our own evolutionary and genomic history. UT Arlington's tiny windmills are bringing renewable energy to a whole new scale. The stability of our highways, pipelines, and even manholes is reaching a breaking point. Scientists believe they have discovered a subatomic particle that is crucial to understanding the universe. UT Arlington researchers unlock clues to the human body’s most mysterious and complex organ. UT Arlington researchers probe the hidden world of microbes in search of renewable energy sources. Wounded soldiers are benefiting from Robert Gatchel’s program that combines physical rehabilitation with treatment for post-traumatic stress disorder. Tiny sensors implanted in the body show promise in combating acid reflux disease, pain and other health problems. Nanotechnology researchers pursue hybrid silicon chips with life-saving potential. Biomedical engineers combat diseases with procedures that are painless to patients. Despite decades of research, new national policies, and practical interventions to address the problem, African-American students in the United States continue to struggle for educational access and equity. That struggle is most evident here in Texas. The state educates the largest number of African-American students at the K-12 level in the nation. Yet in various school districts, black youth are disproportionately overrepresented in the areas of special education placement and school discipline, and are ranked low in key academic indicators such as testing and college enrollment. 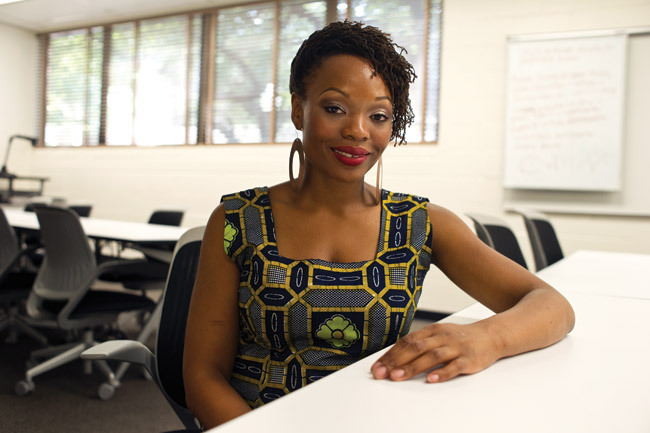 Ifeoma Amah, assistant professor of educational leadership and policy studies, is working with several school districts and communities on this critical issue. She is conducting interviews with educational and community leaders, engaging in observations of school and community initiatives, and collecting other data sources to provide a comprehensive analysis of the successes, challenges, and recommendations for improving African-American students’ educational outcomes and life chances. © 2014 The University of Texas at Arlington. All rights reserved.